Set your curls free with an alternative approach to shampoo. 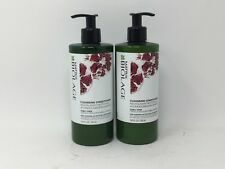 The BIOLAGE Cleansing Conditioner for Curly Hair is a low-lathering, fast-rinsing, soap and silicone-free conditioner that gently lifts impurities with minimal friction for optimal hair manageability. This is the best product for curly thick coarse hair. I love it, never thought I could have such soft hair for my type. I have naturally curly DRY hair, which I also color....This product has helped so much!!! Love the way it smells & makes my hair feel!! RECOMMEND!!!! this is like wen cleansing conditioner, but @ a better price & you use about 1/2 the amount for the same results. i have a perm & this works so great. defines the curls & does not feel greasy. so glad when i found biolage made this product.